Considering a Lift Kit? Now Is The Time! In Houston, we have a rich automotive culture. Now, Detroit may have Woodward avenue, and LA has the Sunset Strip for cruising. From hotrods to lowriders, slabs, and Harleys, the cruising scene around the country is incredibly diverse in its interpretations. Hotrods: the all-engine fire breathing beasts, all that power barely contained under a set of foot-wide racing slicks. Lowriders: the definitive latin car culture defined by hydraulic suspension and candy wrapped paint schemes. For all of the meticulously curated paint and chrome, lowriders hide high performance engines, albeit designed to creep along the boulevard at a slow roll. Yes, car culture as a whole is not going to be defined by a single movement and basically whatever you are into is fair game. At Gulf Coast Alignments we tend to lean more towards cruising down a backroad as opposed to crowded city streets. We like to get out there and explore, and as cool as a ‘32 Ford can be, you aren’t getting in the dirt in a hotrod. While traditional car culture is all about speed, attitude, and looking good, lifted trucks do not always get the love that they deserve. Now you can point to the sky high trailer queens that have never seen a drop of mud, but really, are these trucks good for anything more than to admire at a car show? Not that there’s anything wrong with looking good, but we think that a lifted truck ought to be able to get a little dirt under its fingernails. For most of us, we use our trucks everyday, from commuting to the office, running lumber to the jobsite, or even just dropping the kids off at school. Most of us want to truck that looks good but is also able to throw down on the weekends. Now your truck may have everything you need but you want a little more. You are not going to get better off road performance by simply throwing a new set of tires and wheels under your truck. 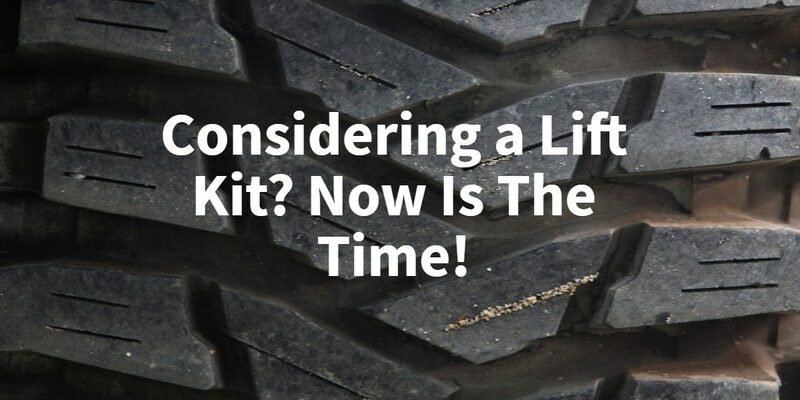 Nope, believe it or not there is an exact science to designing and installing a lift kit and it is critical that your truck is ready for the modification. The truck as a whole should be considered when deciding how high to go with a lift kit. When you install a lift kit, you are hopefully going to put a set of substantial tires underneath the truck. 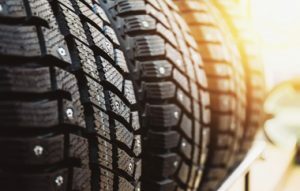 If you have ever tried to lift one, off road tires are heavy, and they need to be able to handle the abuse that driving off road can dish out. When the engine in your truck was designed, it was done with a standard tire size in mind. Meaning that mounting bigger tires and wheels will make your engine work much harder. If your engine is in good shape, you should not have any problems, but an older rig may need a rebuild and some upgrades. Much like the engine, your drive train can be affected when installing a lift kit. The angles of everything, from steering, braking, and driveline, are different and must be taken into consideration. Engineers that design lift kits take all of these variables into account. This includes items like modified drivelines to account for the increased angle between the transmission and the rear axle. When the truck was designed, the driveline is a set length with slight variables under normal driving conditions. If you plan on installing an extreme lift, it may be worth looking into a new, extended driveline. Modern transmissions are generally strong enough to accommodate a lift kit with no problem. There is a lot of focus on the rear axle in the off road community and modifications can make a lifted truck perform much better. Many times when you install a lift kit, the truck will seem underpowered. As power exits your transmission and travels to the rear wheels, pushing those big wheels can cause loss of power and lack of acceleration. While this may not bother you on the road, climbing hills or bombing mud holes will expose this unfortunate side effect of installing a lift kit. Many times the rear axle gear ratio is changed to accommodate for the larger tires and need for more torque to turn the wheels. The angle of the rear axle may need to be modified to accommodate the additional height difference between the axle and transmission. When you install a lift kit, you are basically changing the whole geometry of your truck. Everything on your truck is designed to perform when it is in the stock configuration. When you begin to make modifications, such as a lift kit, without the necessary upgrades the performance and safety of your truck can be compromised. This is why, when installing a lift kit, it is necessary to trust a shop with experience in installing lift kits, like Gulf Coast Alignments. If you don’t want to go sky high but still want a more aggressive look to your truck, a leveling kit may be the answer. A leveling kit usually is installed on the front suspension to even out the sag in the front. Generally this modification can allow for slightly larger tires than stock and make the truck look a lot better. Many times a leveling kit is ideal when you are using overload springs if you have a camper or tow heavy loads. Back in the day, guys used to stuff hockey pucks under their springs to achieve the desired height, needless to say that we have a much more scientific approach to lift kit installation. We will install a lift kit that has been designed to fit your specific truck and not cut corners. At Gulf Coast Alignments we know how important it is to have a truck that performs, looks good, and is safe in all conditions. A lift kit will alter the way your vehicle handles and drives. With the right components, however, it is possible to obtain a stock like ride with all of the benefits of a lifted truck. If you have been longing for a jacked up truck, now is the time, at Gulf Coast Alignments we offer and install lift kits for all major automotive brands. With over 25 years serving the lift kit installation needs of Houston, we figure we can produce a truck you would be proud blasting through the mud as you are rolling down the boulevard. Contact us today and let us show you what we can do for your truck.